Happy Wednesday to you! Hope the day is treating you well. I have a few projects I have been working on today and a few I have completed. We have started Round Two of the Cocorico Bee! This bee started my love of foundation paper piecing. Melinda asked for farmer's market inspired blocks. 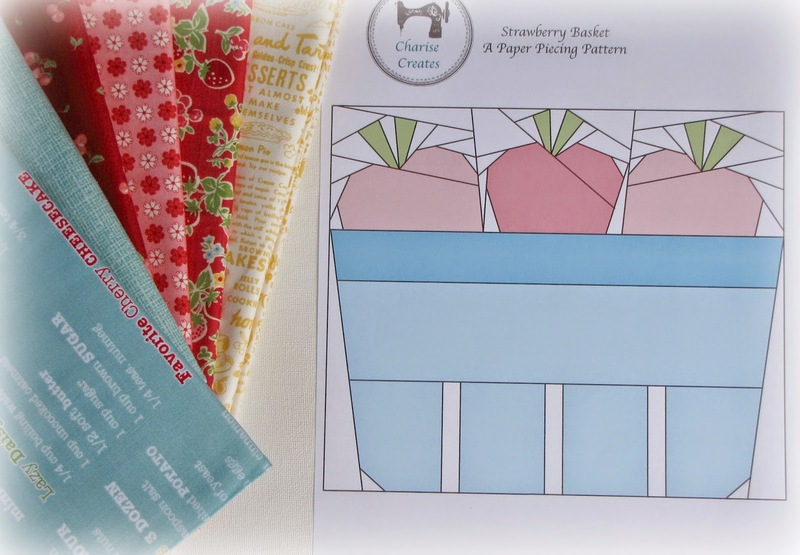 I have a pattern on my Etsy site that I tweaked a bit - Strawberries in a Basket! I'm looking forward to sewing this block. 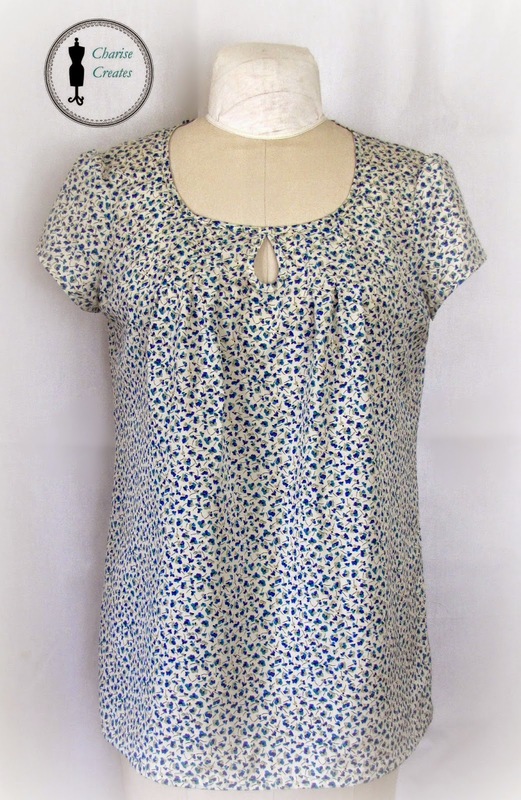 I have been working on a short sleeve version of my Anna Blouse. 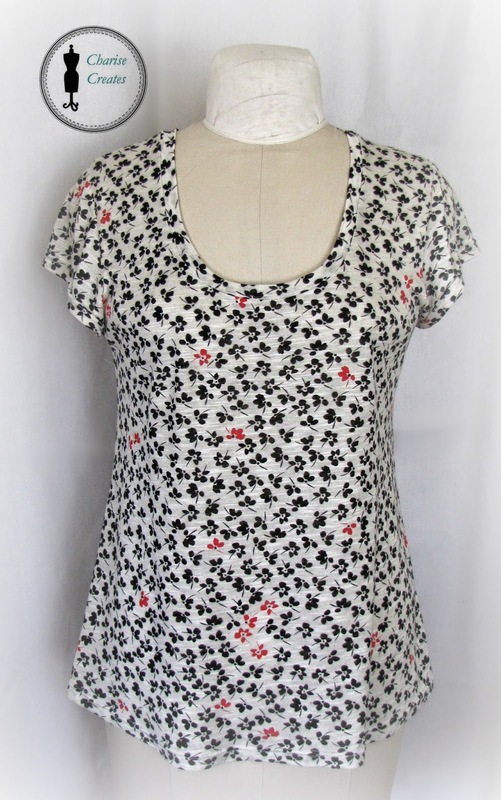 The top pictured is made from a mystery fabric I found at a garage sale. I was hoping it was rayon but turned out to be polyester. If you have a mystery fabric, check out this fabric burn chart from Threads. You can easily test for fiber type with a thin strip of fabric and a lighter or match. 4 3/4". The top portion and shoulders are a bit large so I will make the top a 38 and leave the bottom as is - it has a slightly swingy effect! Link up over at Freshly Pieced and share you works in progress! Love the fabrics you select!